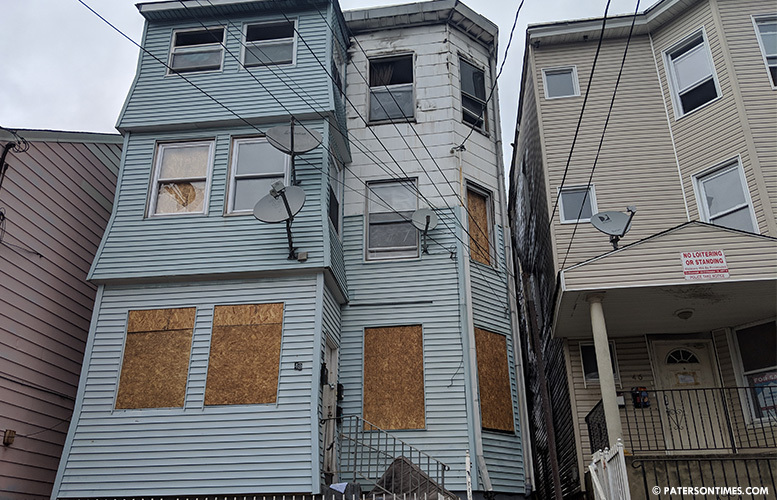 Sixteen people were displaced from their homes and three firefighters were injured battling a second-alarm fire on Paterson Avenue late Monday afternoon. Fire broke out at a three-story house at 48 Paterson Avenue at about 4:58 p.m., said deputy fire chief Pablo Del Valle. Firefighters arrived at the scene to find heavy fire at the rear of the building. Firefighters had the blaze under control at 7:45 p.m., said the deputy chief. A second building, 46 Paterson Avenue, sustained damage in the blaze. Del Valle said the displaced residents are being assisted by the American Red Cross. The property was boarded up on Tuesday afternoon.